Looking For Middle School Writing Rubrics? 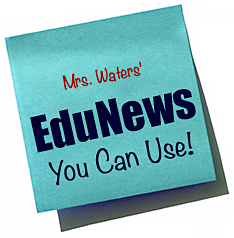 You are here: Home / EduNews / Looking For Middle School Writing Rubrics? Edmond Public Schools has created writing rubics for their middle schools and kindly loaded them onto their website where we can use them. Closely correlated to the Oklahoma Core Curriculum Test (OCCT) Analytic Writing Rubric, Edmond’s writing rubrics are used to set expectations for, to guide, and to assess student writing. The following rubrics should, therefore, be used by students during prewriting/planning, drafting, revising, and editing/proofreading — in other words, in all of the stages of the writing process. Before the final copy is turned in, shared, or published, the rubrics can be valuable tools when used in peer editing — with parents, classmates, siblings, etc. The rubrics should then be used by teachers to assess student papers. You can view and download the rubrics here. If you need more generalized rubrics that are not tied to a specific set of standards, try the rubrics from the Literacy Design Collaborative, which you can download here.